Cirque du Soleil: Luna Petunia – Season 3 (2017) – What's New on Netflix Canada Today! Puzzling mazes, mega meteors, lost treasures, the Jelly Jungle and other Amazia wonders await Lun and the gang in this season of fun and learning. 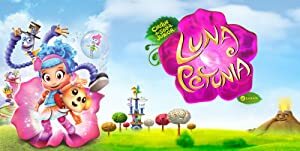 Luna Petunia is a new animated Netflix original series for preschool kids developed by Saban Brands and Cirque du Soleil Média. Inspired by the Cirque du Soleil brand of creativity and entertainment, the series chronicles the adventures of a little girl named Luna Petunia who lives in our world and plays in a dreamland where she learns how to make the impossible possible, teaching young viewers the importance of believing in themselves and all the wondrous things their mind and body can do.